CCA Kids Blog: Thank You for Choosing Kind! How wonderful that the "Choose Kind" message from R.J. Palacio's book Wonder is being embraced in classrooms around the country! Teaching students to be accepting of differences and choosing to act kind toward others is a powerful lesson that will stay with these kids throughout their lives. Having them connect with real-life people who have facial differences solidifies that lesson even more. If you have been following our blogs about Wonder, then you know that CCA began selling the book just a few months ago. The Power of First Impressions announced our endorsement of the book. We then participated in the #WonderSchools Blog Tour, by posting Every Kid Needs a Hero. 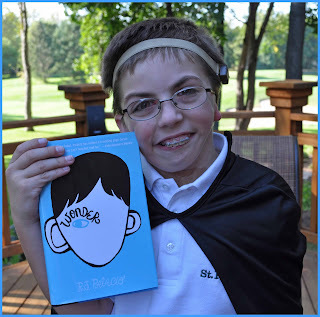 A 5th grade class in Baltimore saw the blog and, after reading Wonder, acted on it's message by choosing to give a real-life Auggie his first standing ovation. What a wonderful way of embracing the book's message to "Choose Kind". Here's the Standing Ovation for Peter video that Reilly Posey's 5th graders created . As a real-life Auggie's Mom, I can't recall ever being so touched as I was when watching this video. I have always said that our CCA kids leave a powerful impression on everyone. As their parents, I believe it is up to us to make sure that impression is overwhelmingly positive. After drying my eyes, I told Peter that he should send a video message back to Reilly Posey's class thanking them and sharing his opinion of the book. What ensued was a great evening where my two boys wrote a skit, rehearsed, and eventually produced Peter's Precept Video. What a fun family project. We had a lot of laughs together that night-- lots of ear humor! This morning, I was blown away to read the following email from Deb Tyo who teaches at Versailles Middle School in Ohio. 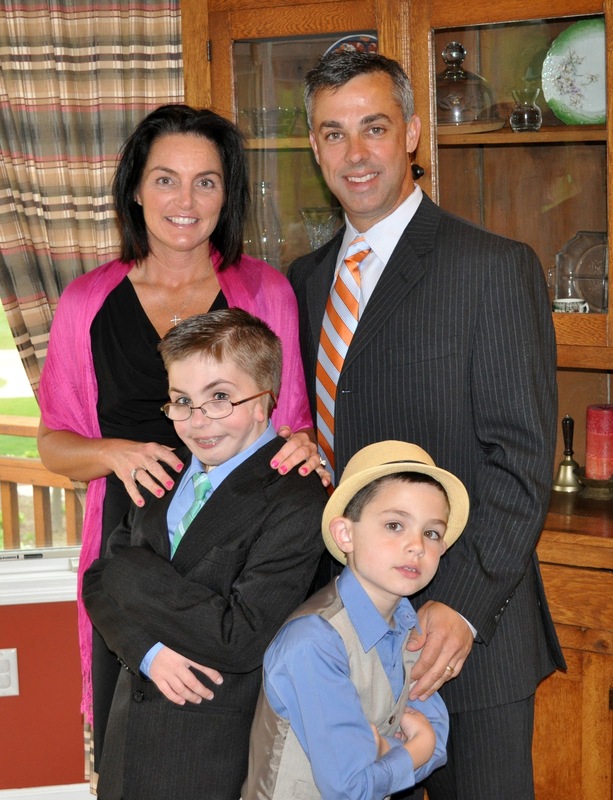 "Dede - Please tell Peter how much he has inspired us. Because of Peter this is happening... To Our CCA Friends. I believe the entire middle school from 6-7 grades shared the book as a school-wide read. How amazing is that?! And, how about that video? I'm still choked up and overwhelmed with gratitude. This book and these teachers are improving the lives for CCA families everywhere-- the affected kids, their siblings, and their parents. CCA parents have faced sadness, fear, grief, and anger following the birth of their child. They have spent anxious hours worrying about teasing and bullying at school. And, they have endured many agonizing days and nights sleeping in hospitals, waiting in emergency rooms, and driving to/from specialty clinics and therapy sessions. For all this, our CCA family is finally receiving some gracious acknowledgements of acceptance. Let's return the kindness by expressing our appreciation for those who are embracing the "Choose Kind" movement. Make your pledge now at www.choosekind.tumblr.com. CCA Families created the following video at the "2012 Cher's Family Retreat" as a thank you to all of those who support and embrace our vision of a world where all people are accepted for who they are, not how they look. I can't imagine a more deserving audience for it's debut. This is phenomenal!! My son, Gabriel, is 11 and has introduced Wonder to his class. He has also introduced it to classes in California, New York and Toronto. He recently skyped with the class in Toronto to answer some of their questions. In addition, he was just profiled in one of our local newspapers. Congrats to Peter for having the courage to teach others... Thank you for sharing with us.